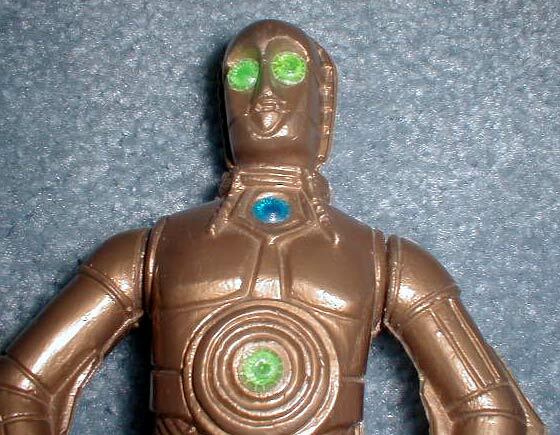 This hollow plastic C-3PO figure, probably molded off of the model kit that was released for this character, is a pretty goofy item. According to Joe, they're pretty rare. I just love all those colored dots on it.